Indulge in this classic arrangement of beautiful roses. 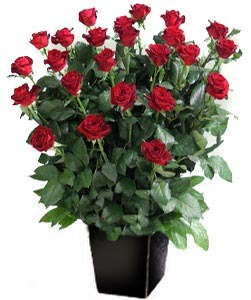 Pot rose arrangement of 24 long stemmed red roses. Suitable for any occasion.